Niagara Falls, NY - Marco Carr, 22, slides off a rail at the Niagara Falls Skate Park on Saturday. 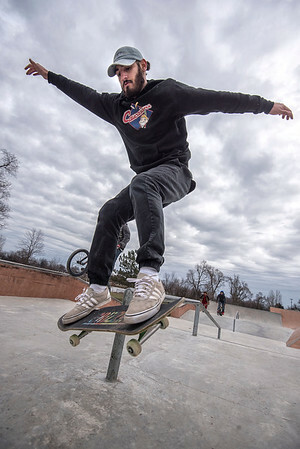 Carr said he had a renewed interest in the sport after a 9 year hiatus, when the city built the new skatepark at Hyde Park. The chilly temperatures didn't deter several others on boards and BMX bicycles either.